Posted on July 13, 2015 at 8:55 pm. 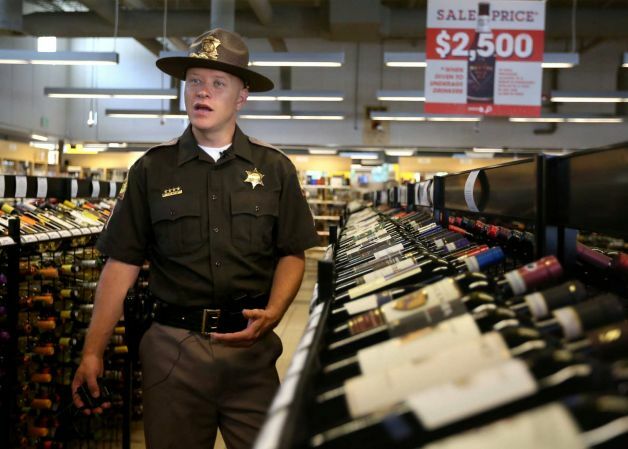 HOLLADAY, Utah (AP) — Liquor bottles will bear sale tags this summer that remind adults that giving alcohol to minors can mean a possible $2,500 fine and up to a year in jail. The partnership between law enforcement, state agencies and an organization running a campaign to end underage drinking is meant to get adults to look twice at what could happen if they enable underage drinking, the Deseret News reported (http://bit.ly/1FYEmgO). ParentsEmpowered.org co-chairman Art Brown said at a liquor store in Holladay last week that underage drinkers often are supplied by adults. Utah Department of Alcoholic Beverage Control regional manager Val Dunaway says officials are always on the lookout for underage buyers and adult redistributors of alcohol, but that vigilance is especially important in the summer. Utah Highway Patrol Sgt. Todd Royce says more juveniles are caught drinking during the summer than other times of year.